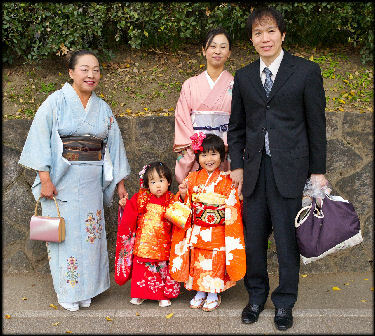 Asians have traditionally regarded marriages as a bonding of families rather than individuals. People are not seen in the Christian view as individual children of God but rather as members of a family. Moreover, children are not seen as individuals who are supposed to find themselves but rather as people responsible for keeping a family going. These ideas are rooted in ancestor worship and Confucianism. Since the end of World War II the nuclear family has been steadily replacing the traditional Japanese extended family that often had three generations, even four generations living under one roof. The number of three-generation households decreased from 56 percent in 1972 to 29.7 percent in 1999. 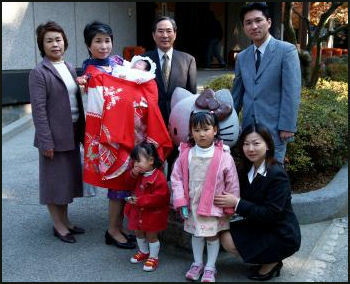 The nuclear family is the central social unit in Japan. In 2000, about 58 percent of households were of this type. About 14 percent were single-person households. Around 28 percent were extended family households. The latter were found mainly in rural areas. In 2007 the number of single households exceeded the married households for the first time. The average number of people per household is 2.7. The average household income is ¥5.64 million (2007). The Nobel-prize-winning Indian economist Amartya Se described Japan as a “culture of interdependence, of communal participation, or combined responsibility, with a sense of sympathy for others.” The Japanese psychoanalyst Takeo Doi argued that in Japan amae or dependency, is encouraged in interpersonal relationships, which has its root on the interdependency between parent and child. Traditional values are nevertheless evident in the absence of sexual activity and in the secrecy women are expected to exercise in their visit to a host club. Japanese men can have an open night life, including visits to the sexual hot spots known as soaplands. Japanese women do not have this freedom. Despite their efforts to defy social conventions, clients of the host clubs often choose a host and remain devoted to him for years, sometimes showering him with expensive gifts to express their affection (Tanikawa 1996). In the old days, it was customary for a man to keep a mistress if his wife couldn't bear children but the marriages was regarded as the most important relationship. If the mistress bore a child, the child often went to live with husband and wife. According to a study by the University of Michigan and the Tokyo University Hospital, American couples begin married life very much in love but grow apart as they get older and have fairly independent lives by the time they retire. Japanese couples in arranged marriages, on the other hand, begin life together as virtual strangers, don't see each other much during the husband's working life, and finally get to know one another after retirement. One study found that after a couple gets married demands made on women give them little time on their own while there is little change to demands made on men’s time. In Japanese there are at east 17 words for husband, including otto, papa, uchi no hito and danna, and 65 for wife, including kakaa, nyobo, gusai, tsuma and yama no kamim. A new law expected to go into full effect in June 2010 allows men to take off time within eight weeks after a child’s birth and to take off a second round of leave at a later date. It also removes the stipulation that bars men with stay-at-home wives to take child care leave. It is thought that even with laws like this on the books few men will take advantage of them because of pressures from the companies they work for. Many companies provide male employees with a 10 percent marriage allowance and cheap housing. “Narita divorce” refers to a short lived marriage in which barely acquainted newlyweds fly off on their honeymoon and by they the return via Narita airport they are ready to split up. In a 2006 study, three out of four married people in their 30s and 40s said they felt exhausted at home and more than 60 percent said their spouse was the cause. Many couples have long distance marriages. When a husband gets transferred for his job he moves while his wife and family remain behind. He commutes to his house on the weekends. Husbands and wives are judged as a team. If a man makes some mistakes or faux paux his wife is expected to apologize for him and a husband is expected to do the same if his wife makes a mistake. If a woman acts poorly as guest and complains or gets angry her husband is expected t apologize for her. If he doesn’t he is seen as being just as ill-mannered as she is. If a husband makes a reservation and fails to show up the wife is expected to apologize for him. In November 2008, a 39-year-old company employee was set to get married even though he already had a wife. His solution for getting out of the predicament? Burn down the hotel where his wedding was set to take place. In November 2012, Jiji Press reported: “A survey has found that 85 percent of married people in Japan believe patience is the key to happy married life. The survey, conducted via the Internet by major household products maker Lion Corp., covered 500 married people aged between 25 and 49. Some families share a duplex-style house with separate entrance doors with their elderly parents. Some nuclear families have a grandmother living with them. These customs are changing. In 1970 more than 75 percent of older Japanese lived with their parents. In 1999 about 56 percent did. Many have been moved into retirement or nursing homes, something that would have been considered sacrilegious a few years ago. Others live on their own, primarily in rural areas. Reasons why married couples no longer live with their parents include the lure of the cities, job transfers and the desire of women to work and have more independence. Traditionally, when a man moved into his parent’s house with his wife, his wife was expected to be a kind or servant to her mother-in-law and in some cases couldn't even leave the house without her mother-in-law’s permission. This naturally created a lot of friction and wives have traditionally not liked their mother-laws. These days many women refuse to live with their mother-in-laws. Explaining why she moved her family out of her in-laws house one woman told the New York Times, "It wasn't anything in particular just an accumulation of things that suddenly exploded. I just thought it was my own life and I have to live it before it's crushed." Some wives escape the mother-in-law trap by convincing their husbands to move in with her family and even taking her family’s name and accepting the responsibility of caring for her parents in old age. Many elderly people like the system because they can live with a daughter they know rather than a potentially hostile daughter-in-law. Husbands who live in these household are called "apple-polishers," which means they are expected to respect their in-laws needs because if they don't they risk getting thrown out of the house. 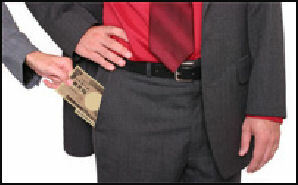 Men are expected be breadwinners and 100 percent devoted to their employers. Women are expected to 100 percent devoted to their families. In a typical Japanese family the father is gone from the home much of the time, working very long hours, while the mother is stuck at home, raising the kids by herself. Japanese families often sleep together in one room or the mother sleeps with the children and the father sleeps in a different room. Japanese families also often bath together or it’s the father’s responsibility to bath with the children after dinner before they go to bed. Sometimes married couples rarely see each other. The husbands leaves early in the morning for work and stays out in the evening socializing with business associates, sometimes not even coming home. Many work on Saturday, and by the time Sunday rolls around they are so exhausted they have little energy to play with their children, let alone take their wife to a nice restaurant, and all they want to do is sleep or veg out. One study found that 40 percent of married people spend 30 minutes or less talking to their spouses each day and one third of them don’t feel any love for their spouse. A total of 28 percent said they did not converse at all with their spouses, Among those who talked more than 30 minutes with spouses 94.5 percent said they loved their spouses. The figure dropped to 66 percent among those that talked 30 minute or less with spouses. A new generation of Japanese married couples called shinjinuri, or “new breed of human being,” are spurning the traditional Japanese work ethic. The men refuse to work on Saturday, preferring instead to go to the beach or the mountains with their families. One survey found that households with an income of $80,000 or more spend three times more on extracurricular activities such as juku for their kids than families that earn less than $40,000. Her notion, however, completely changed following the March 11 earthquake and tsunami. "As a family, we can share everything--pleasures and hardships," she said. "I wanted to take advantage of my luck [meeting him] and take our relationship to the next level." Saijo's husband proposed to her two weeks after the Great East Japan Earthquake, despite his own hesitation to marry before the disaster. Saijo immediately accepted his proposal. 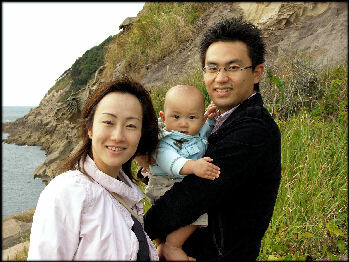 The March 11 earthquake and tsunami, however, prompted many people like Saijo to take action and marry their loved ones. According to O-net, Inc., a major marriage matching service company, the number of new members last year increased by more than 30 percent compared with the year before. The company also made more successful matches among its members last year. Another trend in the housing sector also suggests more people are seeking better family ties. The number of households consisting of three generations fell to about 7 percent in 2010, according to government statistics. Yet since the earthquake, the lifestyle seems to be regaining popularity, mainly in urban areas.The housing sector has been enjoying increased sales of houses for three-generation families--so much so that some newcomers have been prompted to start their own businesses in the niche market. Some local governments are also encouraging residents to live in housing accommodating three-generation families. The Chiba municipal government, for example, provides subsidies for building or remodeling houses to accommodate a couple, their children and their aging parents. "Working couples can rely on their parents to help take care of their children, while their aging parents can feel at peace [living together with their family]," said an employee in charge of promoting housing for extended families at Asahi Kasei Homes Corp. "With grandchildren placed at the nucleus of a family, members can enjoy stronger ties." Prof. Masahiro Yamada of Chuo University said members of younger generations already had a strong desire to get married and start families even before the Great East Japan Earthquake. The disaster has strengthened this tendency, the family sociologist said. "Nonetheless, the general trend remains unchanged: We'll have an aging population with declining birthrates, as well as increased numbers of unmarried people," Yamada said. Meanwhile, more and more people, mainly in the Tokyo metropolitan area, have become interested in becoming foster parents. Workshops for prospective foster parents had double the usual number of participants for several months following the quake. The National Foster Parent Association has also received more than 400 inquiries since the disaster. Prof. Mami Iwakami of the University of the Sacred Heart, Tokyo, pointed out that traditional family values--where only blood relatives can rely on each other, or people cannot become a family unless living together--will face some limitations. "I believe more and more people will look for various forms of 'family' from now on," the family sociologist said.